E-CARE is a biannual event where residents can safely dispose of HHM, bikes, metal, shoes, clothing and other recyclable items. When E-CARE is scheduled, the HHM facility is closed to accommodate the event. Find out more about the next E-CARE. 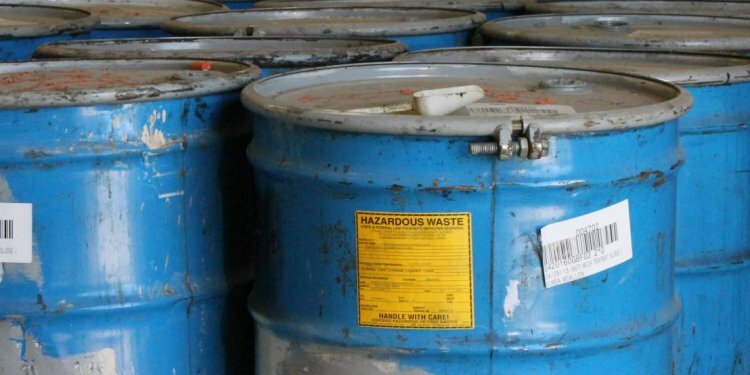 What Are Household Hazardous Materials (HHM)? HHM are products found in the home that are flammable, corrosive, poisonous or potentially hazardous. HHM products typically found in the kitchen, bathroom, workshop or garage contain hazardous ingredients that poses human health and environmental risks when managed improperly. Household electronics, such as TVs and computers, often contain hazardous and toxic materials that pose environmental risks if they’re taken to a landfill or incinerated. The HHM Facility accepts most solid, liquid, compressed gas and aerosol products typically used in the home that are flammable, corrosive or poisonous. There’s no charge to residents for a HHM drop-off. Product labels with signal words like “danger, ” “warning” or “caution, ” followed by a statement of the principle hazard(s) (“combustible, ” “caustic, ” “toxic”) are indications you have an HHM requiring precautionary measuring during its use and proper waste management disposal. The HHM Facility and Electronics Collection and Recycling Center (ECRC) are open to residents and County employees for drop-offs. We don’t accept business or commercial hazardous materials. If the can is less than 25 percent full of latex paint, it may be solidified at home by the resident for disposal via curbside trash collection. For the home disposal process, you should wear old clothing, gloves and eye protection. Work in a well-ventilated area. Add kitty litter to the open latex paint cans. Stir in enough kitty litter to achieve a very thick paste. Place the cans in a trash bag inside your trash cart for collection. If the can is more than 25 percent full of latex paint, arrange for drop-off at the HHM Facility by calling 703-228-6832. Each mercury thermometer contains one gram of mercury, enough to contaminate a 20-acre lake. Devices containing mercury should be dropped off at the HHM Facility. Motor oil should be dropped off at the HHM Facility. Use a dirt-free pan that can hold as many quarts as your car’s crankcase, a pan that has not been used for paint, cleaning solvents, antifreeze or other chemicals besides motor oil. Pour your used oil from the drain pan into a container with a leak-proof lid, such as a rinsed-out plastic milk jug. Use a funnel to avoid spills. Don’t mix or blend your oil. If you change your oil filter, drain the old one by punching a hole in the top and inverting it over your drain pan. Dispose of the old filter by putting paper towels over the hole. Then put the old filter and paper towels in the box your new filter came in. Place the box in the trash. To recycle your used oil container, put the lid back on and save it for your next oil change. Store it away from children and pets. Regular household (alkaline and zinc carbon) batteries should be disposed of in your regular trash collection. Rechargeable batteries, as well as lithium, silver oxide, and mercury batteries, should be dropped off in special collection boxes located at most Arlington County fire stations or at the HHM Facility. Car batteries can be collected with curbside recycling. You need to submit a request by calling 703-228-6570. Or, they can be dropped off at the HHM Facility.